Experience the classic feel of Fender no matter what guitar or bass you play. Fender picks provide comfort and high-performance flexibility for every performer, with a variety of sizes, shapes and thicknesses to suit the playing styles and preferences of every guitarist. 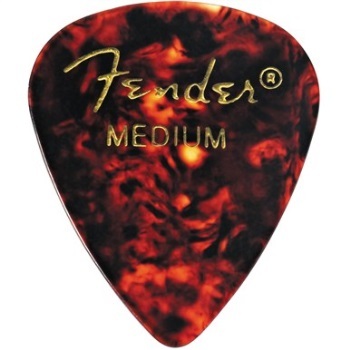 Celluloid is a premier pick material and the cornerstone of the Fender pick collection for decades. Celulloid picks give the traditional feel and a warm, round musical tone. The traditional 351 shape, our most popular pick design, is a perfect accessory for players of versatile styles and techniques.